Running an eCommerce business is no walk in the park. Most of the time, things change so quickly that it’s difficult to keep track of what’s working for your business and what isn’t. What’s more, the tasks you have to do on a daily basis could make you lose sight of your long-term goals. This is why it’s important to have a few KPIs in place. 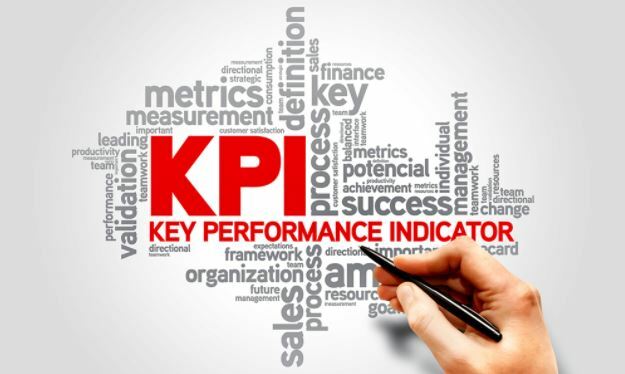 A KPI, or key performance indicator, is a determinable measure that a company uses to gauge how well it has met strategic and operational goals. Businesses use different KPIs based on their priorities and the performance criteria they set for themselves. The type of KPIs used depends on the company and its goals. Businesses can use as many KPIs as they deem necessary but most use four to ten KPIs. These are enough to provide them with the measurable data they need to assess their objectives, check their strategies, and make the necessary adjustments. KPIs are crucial to the success of a business. These indicators aid companies in focusing on their goals and ensuring these remain aligned within the business. Targeting these goals will help a company stay on track and work on projects and strategies that will aid them in hitting their targets faster. Conversion rate is simply the percentage of visitors to your site who made a purchase. This is determined by taking the total number of customers who bought something and divide it by the total number of guests on the site. It’s easy to see why brands use this key KPI, as a good conversion indicates people are buying your product. In cases when conversion rates are poor, companies can take the necessary steps to correct it. For instance, they can improve how products are presented by using either visually appealing images or heartwarming text. Using videos and streamlining the checkout process also helps improve conversion rates. As the name indicates, this is the average amount a client spends on an order. It’s calculated by taking the total amount of all purchases and dividing it by the number of orders. A high AOV means that you are making more profit per client. Of course, companies want to boost their AOV. They can do so by carefully examining their client’s shopping behavior and finding ways to push more products or offers that are relevant to them. A lot of brands are doing this by showing “related items” on the checkout page that are based on the shopper’s browsing or buying history. RCR is the percent of customers who return to the site and make additional purchases. This is computed by taking the total number of customers in a given time frame (ex. March 2018) and dividing it by the number of clients who return and made another purchase within a specific duration (ex. 30 days). Companies love repeat customers and they encourage this by providing great customer service, doing email marketing campaigns and using loyalty programs. This term refers to when visitors place items in their cart but then leaves the site without finishing the purchase. It’s vital for companies to track cart abandonment rate since it will enable them to understand what changes they can make to push customers to finally make a purchase. Brands can experiment with different ways to forestall cart abandonment. Some have streamlined the purchasing process to encourage people to complete their transaction. Others have changed the placement of security seals to prove to customers that their personal data is secured. This is probably one of the most important metrics used. It indicates all the visitors to your website. The type of traffic you get to your site is a good indication of how many new customers you have and how much sales you made. Website traffic is determined by simply adding all those who visited your site from every available source, whether it’s organic, social, direct or through referrals and email. Marketers have a number of ways of improving traffic, like content marketing, emailing existing customers, and word of mouth. Companies who are willing to invest can also boost traffic via paid campaigns like display ads and print ads. KPIs are crucial if you want to monitor how your business is performing and to see what improvements can still be made. However, make sure you spend the time to choose the right metrics to use.